on their side for off-axis 2D and 3D applications. 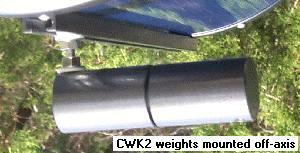 counterweights are available for balancing bigger loads. Weights are threaded 1/4-20, powder coated gloss black. Specify telescope type and size when ordering! * C8, C9.25, C11, N11, CM1100, C14, Intes MK-67 - - Celestron 8" OTA Warning! 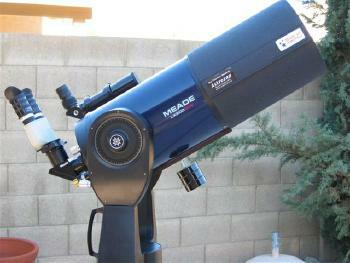 * LXD55 with 24 cm hole spacing (Not AR5) - - Celestron 9.25" OTA Warning! $15.00 - #MRSO - Mounting Rail Stabilizer Outrigger - Details HERE! - - Celestron 8" OTA Warning! - - Celestron 9.25" OTA Warning! 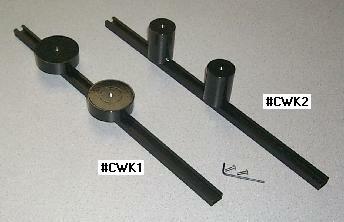 Weights and rail on 8". Thanks Brian! Celestron 8" OTA Warning is Here! Celestron 9.25" OTA Warning is Here! More Mounting Rails and Accessories Are Here!